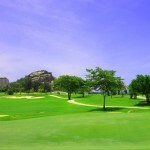 As a former army retreat, Sea Pine golf course commands some of the best views any Hua Hin golf course can offer. 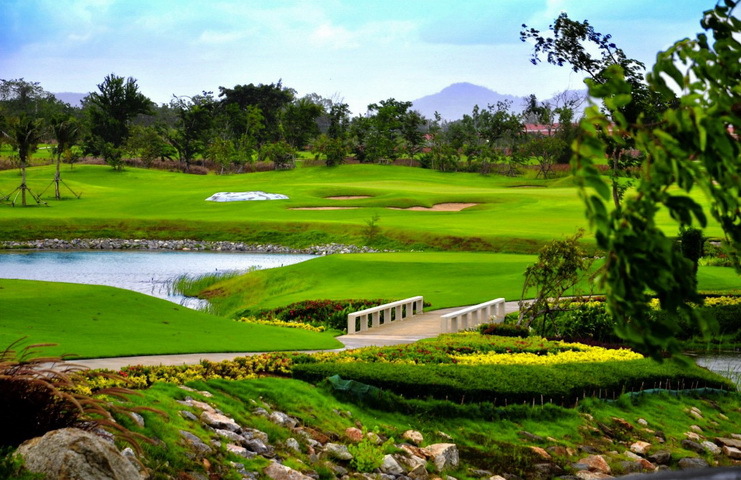 Located on the shores of the Gulf of Thailand, it offers panoramic ocean views from a number of holes while it is fringed by pine trees for most parts of the course. Challenging in its design, the course can vary from very easy to rather difficult depending on wind conditions. The 17th signature hole offers a dramatic ocean backdrop and leads over a water carry while two bunkers frame the hole. The new clubhouse hosts a pro shop and restaurant with spacious outdoor terrace taking in the views to relax after a round of golf. There is also a golf resort adjacent to the course that offers accommodation for those wanting to stay on the grounds. 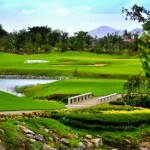 The natural beauty makes this golf course one of the most attractive in the area. area is one of the most sought-after neighbourhoods. Many projects nearby feature exclusive villas, spacious in size and with views over the Gulf of Thailand or the panoramic mountain ranges surrounding the area. At the same time, condominium developments have come up swamping the market with low priced units, mainly targeting Thai investors from Bangkok. However, for the discerning customer there are various more exclusive condominium projects that offer generosity and tranquility away from the mass market products. Contact us for more information on Seapine Golf Course properties for sale!